Choose between the Basic Configurator or the Advanced Configurator. If you want a standard COPPERSTONE with standard characteristics and with standard frequency setup, then "Basic" is your best option. But if you want a COPPERSTONE with additional modules, custom mid frequency setup or even additional units of COPPERSTONE with different frequency characteristics, then select the advanced configurator. All connections are already made. 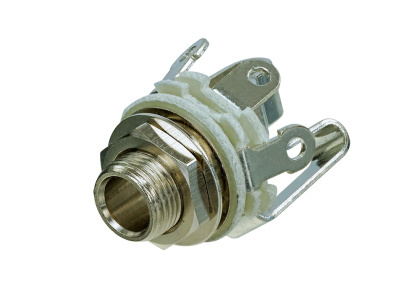 You will only need to connect the output jack with the terminal connectors (included within this package) and the pickups using a small 0.3x1.8mm screwdriver. 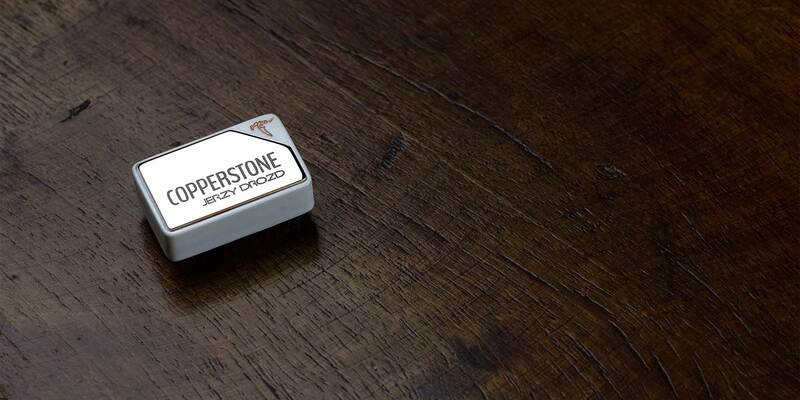 COPPERSTONE can be expanded with optional modules such as FLAME and PASSIVE TONE. PASSIVE TONE module allows conventional passive tone control on your instrument as used on passive instruments. You can combine both active EQ and PASSIVE TONE in order to get your desired sound. ACTIVE/PASSIVE Switch module connect and disconnect active EQ of COPPERSTONE. In passive mode active equalization is disconnected but you can use passive tone module to control tonality of your instrument. In active mode both active and passive tone works alltogether. FLAME is a discreet subminiature electronic device that monitors your battery status and flash when the battery drops its voltage below the desired level. Due to its extremely reduced size, FLAME easily fits in any bass guitar's electronics cavity. Great, you are almost done. to go to the next page. Would you like to save this order and continue later? I accept the Conditions of sale for JERZY DROZD Electronics. After confirming BANK TRANSFER as your payment method you will receive an email with the information needed to make the transfer. All connections are already made but you will have to solder the output jack and the pickups. 3) Do you need an Output Jack? 5) Would you like to order a second COPPERSTONE? The great advantage of COPPERSTONE is its interchangeability. 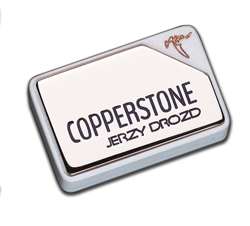 Order your second COPPERSTONE with a different mid frequency set and expand your tone even further.